MSIsport: A 100% natural magnesium supplement. 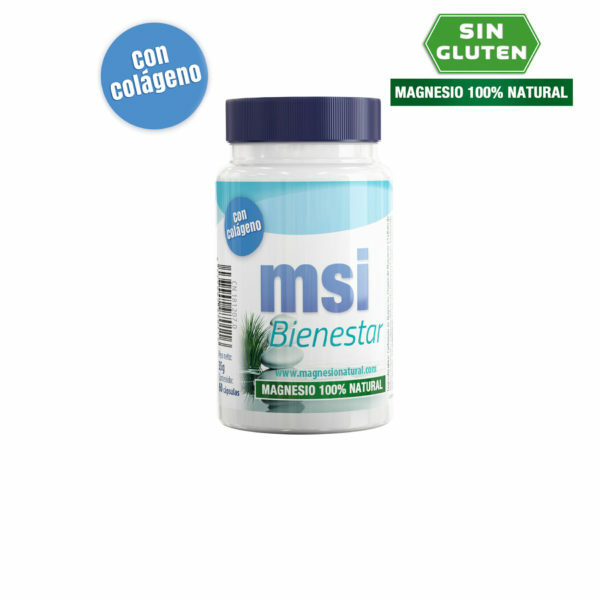 MSIsport is a unique 100% natural magnesium supplement. Natural magnesium is better absorbed and helps the body recover excellently after strenuous effort. Each capsule contains 500 mg natural magnesium and 40 mg vitamin C.
Magnesium is important in the process of obtaining energy. A sufficiency of magnesium is especially important after physical activity. A deficiency of magnesium can lead to cramps, fatigue, lethargy, tremors or nausea. Magnesium is essential to prevent muscle injuries. A correct amount of magnesium in your diet prevents many common injuries such as sprains, bruises or fractures. – the nerve function improves and it reduces fatigue. Magnesium assists in the transmission of nerve impulses and relaxes the muscles. Furthermore, magnesium plays an important role in the formation of proteins, carbohydrates and fats which are then converted into energy. Next to all this, magnesium is also important for the regulation and control of calcium, potassium and sodium and it is important for a healthy teeth. The capsules are suitable for vegetarians and do not contain: gluten, yeast, wheat, milk or milk lactose, soy, egg, grapefruit, fish, sugar, preservatives, artificial colors, artificial flavors or sodium. Due to the special characteristics and health benefits the product is suitable for general public. The capsules are vegetable, contain a high concentration of magnesium and are better absorbed than tablets. The product is suitable for athletes, elderly people, as well as people who would like to stay fit in a natural way. The product is enormously pure, clean and concentrated. For this reason is the intake of one capsule every other day can already be sufficient. Interested? Click here to order one of our products.